Poetry feeds the soul. It speaks to our innermost thoughts and feelings, inspires us, moves us, and can even make us better readers and writers. To celebrate National Poetry Month, Heinemann is offering 40% off the list price of select poetry resources with promo code POEM19 when you order from heinemann.com, now through April 30, 2019. Restrictions apply, see the bottom of this post for full details. The 20 poems in this collection were chosen for their thought-provoking topics; compelling real-world themes that lead to conversation and collaboration in middle school classrooms. 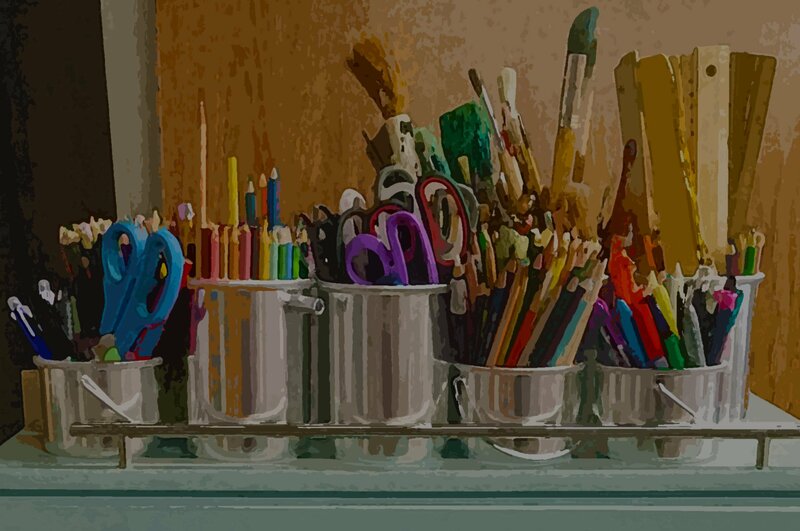 And by showing you how the poems and activities address the common core standards for English Language Arts, Paul provides a clear understanding of how you can “get there” using poetry. Awakening the Heart explores how to cultivate the poet in every elementary and middle school student—through well-drawn examples, detailed exercises, creative projects, and down-to-earth classroom teachings. Along the way, we learn how to: create environments that encourage children to express their innate sense of wonder; introduce poetry that will engage them; and help children make the transition from reading and talking to writing. For the Good of the Earth and Sun is for teachers at all levels, especially for those teachers who feel anxious about introducing poetry to students. 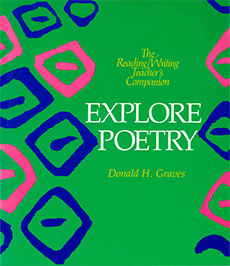 Georgia Heard offers a method of teaching poetry that respects the intelligence of students and teachers and that can build upon their basic originality. She explores poetry from the inside as it is: a powerful and necessary way of looking at the world, and one of mankind's most durable inventions. 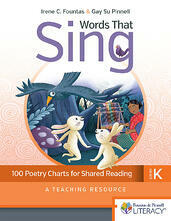 This volume involves you in both the reading and writing of poetry, for yourself and your children. Experiment with reading poetry aloud, "found" poems, writing poetry from prose, and acquiring poems through choral speaking. The "Actions" here help you encourage a sense of play in the composing of poetry, focusing on passion and wonder, combining sound and sense, and transforming the common into the unusual. A concluding section invites ways of spreading poetry throughout the curriculum, integrating it with the study of science, history, and mathematics. 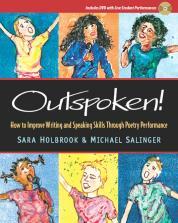 In Practical Poetry, Sara Holbrook shows you how the precise language and keen observations of poems can be used as nuts-and-bolts tools for addressing content and language standards in four key subject areas. Whether you teach one or several subjects, Practical Poetry includes chapters specially written to show you how to promote content understanding and meaning-making in language arts, math, science, and social studies by taking poems out of the artsy ether and making them functional. 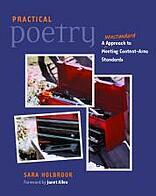 Even if you aren't a poet, you'll be ready to use poetry in your class tomorrow because each of Holbrook's lessons. Brave New Voices provides teachers with a "how-to" guide to staging a teen poetry slam, enabling students to unlock their poetic passion in front of their peers. For all levels of students and developing artists, from the shy to savvy, here is a way to spark a love of poetry. For students already composing poems, here is a way to help them take a powerful step forward in their growth as writers. And for teachers, here is a way to liberate poetry from dry textbooks by tapping the poetic potential within the next generation. In Climb Inside a Poem: Reading and writing Poetry Across the Year, Georgia Heard and Lester Laminack tap into this natural inclination and demonstrate how reading and writing poetry can also support and extend young children's language and literacy development. 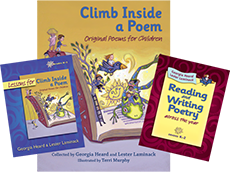 Through an anthology of original children's poems and related lessons, Georgia and Lester describe how to weave poetry into the fabric of a school day by reading a variety of poems for a variety of purposes. Reading and discussing great poems changes her students: helps them gain perspective on their identities and make sense of their worlds, while honing their skills as critical readers and intentional writers. Poetry is the foundation upon which Nancie's students build excellence as writers in every genre, from finding subjects that matter, to crafting powerful language, recognizing how punctuation gives voice to writing, and developing and supporting a theme. Words That Sing is an illustrated collection of poems, songs, and rhymes that will fill children with language, ideas, and imagery, which will help them use and enjoy the oral and written word. Enlarged charts make it possible for children to “read” a much more complex text than they could independently, enabling each child—regardless of reading level—to benefit from the many values and goals that poetry brings to the classroom. Available for grades PreK-2. The poems in Sing a Song of Poetry immerse students in rich, rhythmical language, providing age appropriate opportunities to enjoy language through shared reading, stimulate oral language development, connect words, and much more. Poetry enhances any early childhood curriculum. 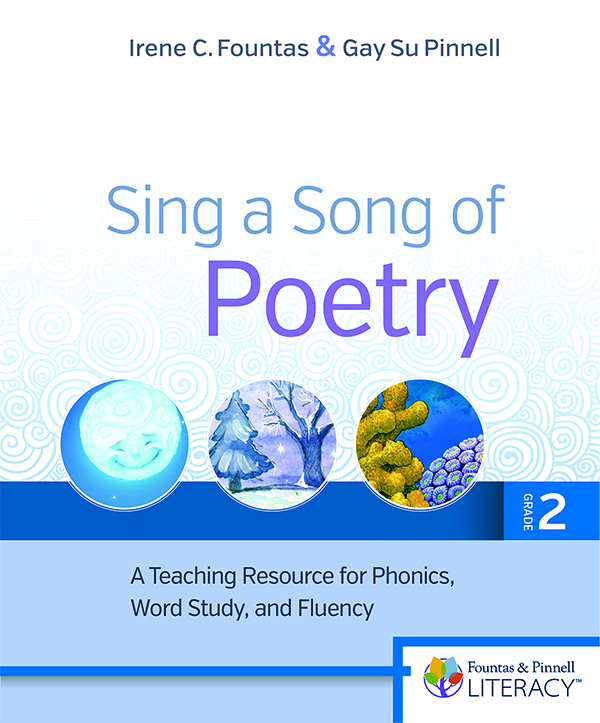 Sing a Song of Poetry can be used as a stand-alone resource for language and literacy opportunities or can be used as a companion resource to the Fountas & Pinnell Phonics, Spelling, and Word Study System. 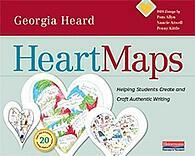 Available for grades K-2. Now get to feeding that soul! 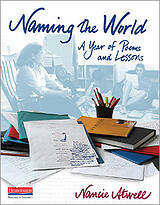 ∗ Promo code POEM19 valid only on online orders from Heinemann.com. March 22 through April 30, 2019 11:59PM EST. Discounts applied only on in-stock items. eBooks are not eligible. Discount is applied to the list price of each item. Discount applies only to select titles.